During the last three years, retirement has been a major focus in my life. I’m looking forward in retiring in Hawaii. I still have more than a decade before retiring. 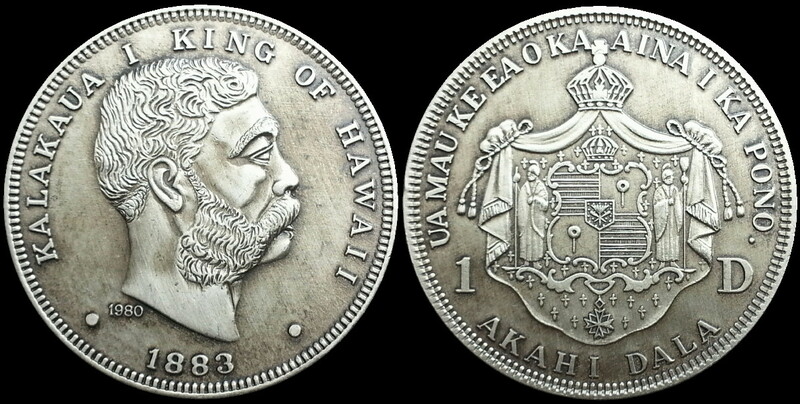 Hawaiiana numismatics is just one aspect for investing. Yes investing, high quality rare specimens. Low quality items takes time to unload (as in all collectibles). There are eight retirement buckets to provide me retirement income. Bucket 1) Corporate Pension. I’m fortunate (with insight) to work for a global company that still has an intact corporate pension. Bucket 2) Employee 401(k). I’ve been maximizing my contribution limit and proactively monitoring/trading individual stocks. Bucket 3) Home Equity. I’m making extra payments to speed up paying off my home loan. Bucket 4) Stock Portfolio. Active investing in quality stocks to make my money work even harder for me. Bucket 5) Social Security. Yes, still planning on receiving my SS check. Bucket 6) Collectible Collections – Numismatics (Hawaiian and US) and Hawaiiana Collectibles. Bucket 7) Collectible Collections – Philately (US). Bucket 8) Writing royalties. I’m looking forward in writing more books and receiving more royalty payments. Here are two remarkable specimens that I donated. They are the only NGC release ceremony certified coins. As previously reported in my July 20, 2014 blog. Below is a specimen that I recently added to my collection. Again, note the year 1980 to the right of the left dot. It’s interesting that the two of the best performing stocks (> 400% gain) in one of my stock portfolios have a footprint in Hawaii. Hawaiian Holdings (HA) and Howard Hughes Corp (HHC). HA operates the largest airline (Hawaiian Airlines) in Hawaii. HHC has several operating properties in the US. Its Hawaii footprint is with their three properties in Hawaii (Ward Centers, Ala Moana Towers, and Maui Ranch Land). HHC was spun off by General Growth Properties (GGP) a few years back and still has a Hawaii footprint with shopping mall properties (Ala Moana Center on Oahu is the largest). Actual mintage is 21,622 as indicated in my book (based on actual Franklin Mint mintage figures). 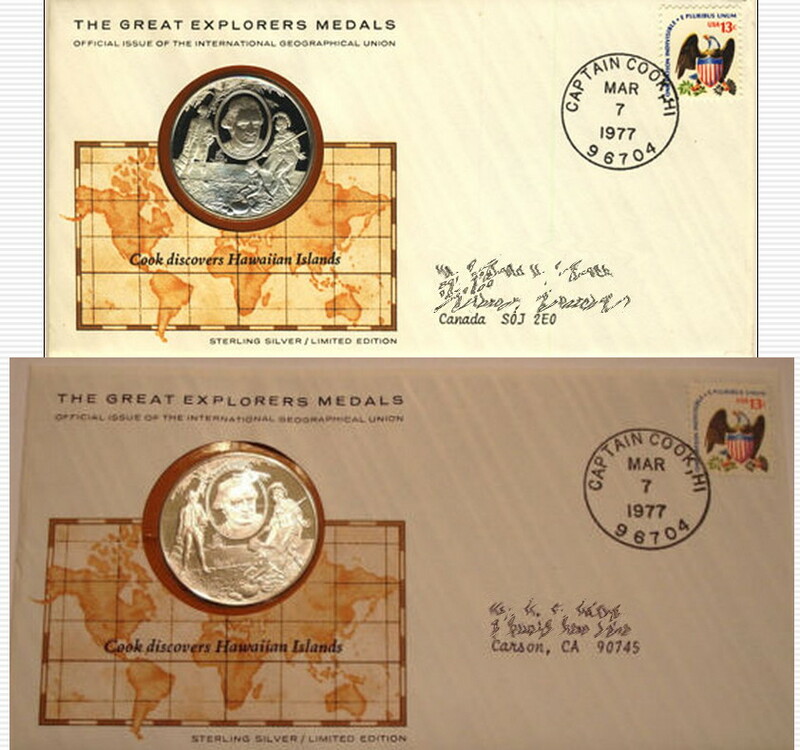 Intact medals in original postal cover is highly sought after due to its stamp and postal cancellation. 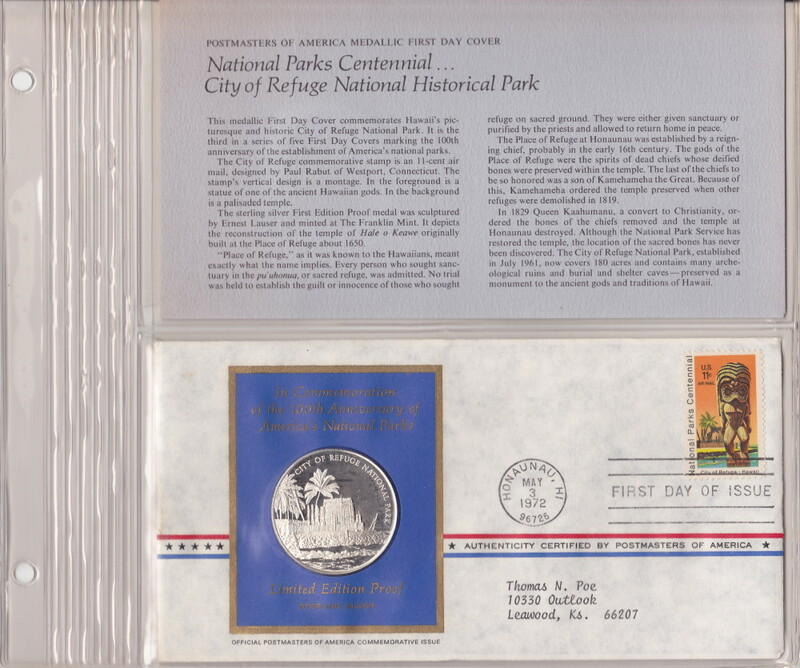 This is a First Day Cover highly prized by philatelist (stamp/cover is cancelled with the date it was officially released by the US Postal Service). 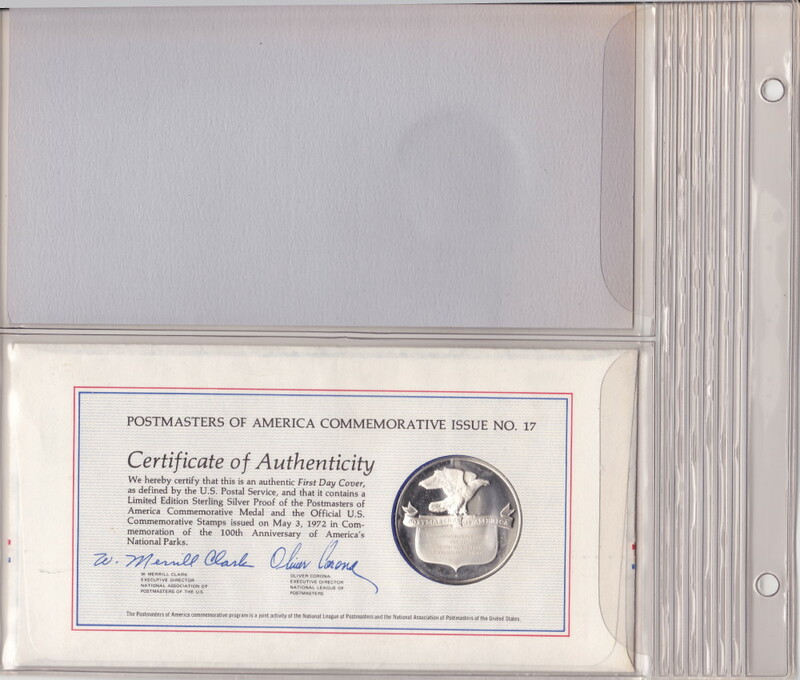 The medal and COA (reverse side of envelope) is highly desired by Hawaiiana numismatists. However, when a specimen with COA also comes with its description card and original Franklin Mint album page, this is the most desired collectible state. Below is such a specimen that is in my collection. Medcalf & Russell lacked stating the mintage. Mintage is finally stated as 2,216 in this book. One of the overlooked items is that most specimens are taken out of its COA (yes the envelope reverse is a COA). It is very difficult to locate specimens intact in its original envelope. The reason I am discussing this medal is that within a weeks time, I located two specimens and acquired both for my collection. (I am both a postal cover collector and medal collector relating to Hawaii). One is addressed to an US address and the other to a Canada address. I’ve been searching for intact specimens for the longest time and all of a sudden two appear for sale.